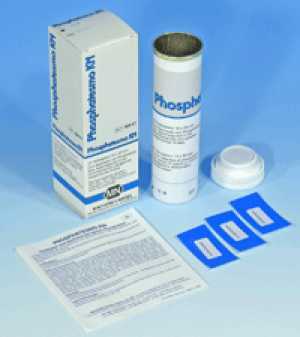 กระดาษทดสอบ Sperm, acid phosphatase (Phosphatesmo KM) | Higher Enterprises Co.,Ltd. The test paper allows the quick and easy detection of sperm. In criminal investigations is used as a rapid screening test. The paper is specific for acid phosphatase. The material in question is allowed to soak in physiological saline solution for about 1 minute. Then the material is placed on the paper. In presence of acid phosphatase the paper turns violet. The reaction is not a suitable substitute for the microscopic determination of live spermatozoa. The test papers are single sealed in plastic. This ensures clear results at any time.